WASHINGTON, Oct. 31 /PRNewswire/ -- An independent analysis by the internationally renowned Cochrane Collaboration of worldwide influenza vaccine studies, published in the British Medical Journal on Oct. 28, concluded there is little scientific proof that inactivated influenza vaccine is safe and effective for children and adults. Citing the Cochrane Collaboration finding as well as methodological flaws in a child influenza vaccine study published Oct. 25 in the Journal of the American Medical Association (JAMA), the National Vaccine Information Center is calling on the Centers for Disease Control (CDC) to stop recommending annual flu shots for all infants and children until methodologically sound studies are conducted. "There is a big gap between policies promoting annual influenza vaccinations for most children and adults and supporting scientific evidence," said epidemiologist Tom Jefferson, Cochrane Vaccines Field, Rome, Italy, who coordinated the comprehensive analysis for the prestigious Cochrane Collaboration. "Given the significant resources involved in annual mass influenza campaigns, there is urgent need for re- evaluation of these strategies." 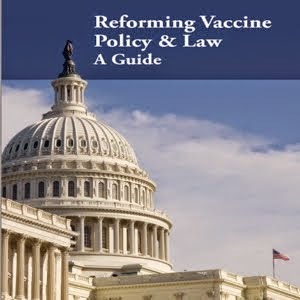 "Vaccine studies are using increasingly complex statistical techniques rather than time-tested research designs," said NVIC Health Policy Analyst Vicky Debold, R.N., Ph.D. "The JAMA study is exactly the type of study criticized by the Cochrane Collaboration. There were so many limitations and exclusions in the study design that it is nearly impossible to interpret or replicate the findings. The true effect of the influenza vaccine on health outcomes cannot be identified in this single, flawed study, which should not be used as evidence that influenza vaccine is safe for infants and toddlers or to justify national vaccine policies." The Cochrane Collaboration (http://www.cochrane.org), which maintains the Cochrane Library and is the world's leading producer of systematic reviews of scientific information about health care, is a UK registered international charity. Cochrane reviews are considered the gold standard for determining the effectiveness of health care interventions. 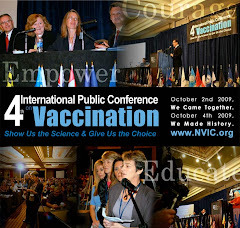 The National Vaccine Information Center (NVIC) is a non-profit, educational organization (http://www.nvic.org ) founded in 1982 and is dedicated to preventing vaccine injuries and deaths through public education and defending the informed consent ethic.